Trick ‘r Treat is one of those movies where you fall into one of two camps. Either you’ve seen it–in which case you know exactly what I’m about to say. Or you haven’t, in which case you need to go out and see it immediately. 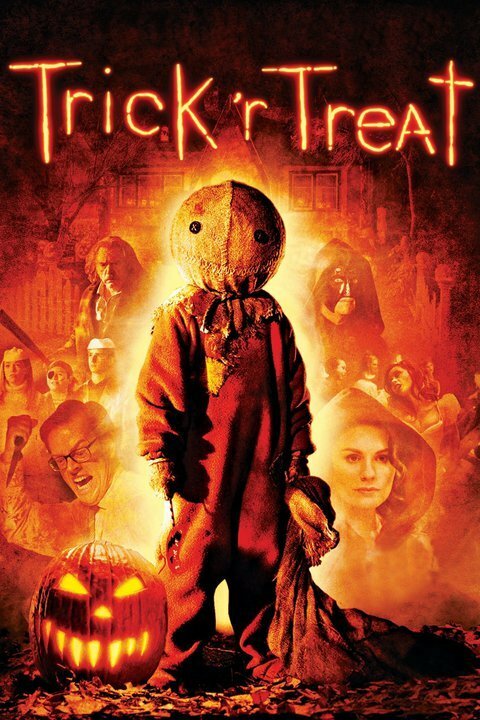 A true cult classic, I’ve loved Trick ‘r Treat since my first viewing, and it is now an indispensable part of my October routine. One story told in four parts, Trick ‘r Treat is a love letter to those who love Halloween. Set in a fictional town that does the holiday bigger than anything this side of Salem, Massachusetts, we begin our journey with a couple returning home after a night of holiday partying. The husband respects the spirit of the season, but his wife, tired and ready for bed, does not. She blows out the jack-o-lantern–a cardinal sin. But someone is watching, and he is one who will punish those who transgress on Halloween night. The story takes off from there, with twists and turns that can only be fully appreciated on a second viewing. Frankly, the movie is worth a watch for Anna Paquin’s story line alone. I’ve been more vague than usual, and intentionally so. This movie should not be ruined for you. If I’ve ever steered you towards a horror experience you’ve enjoyed, take my advice and watch this movie. Just make sure your jack-o-lantern stays lit till the credits roll.